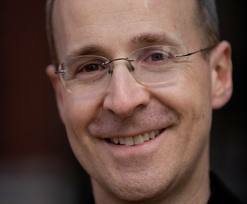 Father James Martin, SJ offers for our consideration the Five Best Pieces of Jesuit Wisdom he's ever heard. Each of them is annotated and worth the read at The Jesuit Post. 1.) Allow yourself to be human. 2.) You don’t have to be someone else to be holy. 3.) You’re not married to everyone. 4.) Don’t let anyone prevent you from becoming the person you want to be.